In the first step of the EPSA evaluation methodology, all applications underwent first an online evaluation by external and independent evaluators (academics, practitioners or PA consultants). In a second step, these evaluators met in Maastricht on 22-23 June to come to a consensus on the projects they had assessed and to identify those cases submitted to EPSA 2017 that will be awarded a Best Practice Certificate (BPC). Out of all the applications submitted to the EPSA 2017 34 projects from 18 different European countries and the EU institutions have been identified as being a Best practice. Subsequently, a number of onsite visits to the highest ranked projects took place from July to early September to verify the evaluation results (3rd evaluation step). On 26 September, a high-level international jury (different from the evaluators of the 1st and 2nd evaluation steps) met in Maastricht for the final decision on the nominees and the award winners. 12 projects were nominated (4 per category). They come from eight European countries and one European agency. The nominees of the EPSA 2017 edition are shown below according to category and in increasing order of the project number. For a short description of each of the nominee projects, have a look at this document. The application phase of the EPSA 2017 ended on 1st May 2017. 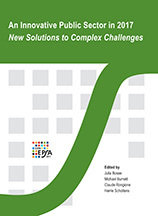 The EPSA received 150 innovative solutions to current and complex challenges our societies are facing from public administrations across 30 different European countries and from several EU institutions and agencies. 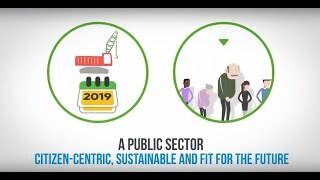 This year’s edition, which is taking place under the overarching theme “An Innovative Public Sector in 2017: New Solutions to Complex Challenges”, received contributions ranging from areas such as migration and integration, social welfare and employment policies, e-health, entrepreneurship and social innovation, security, open government and transparency as well as environmental policy and climate change. The top submitters were Austria, Portugal, Spain, and Poland respectively.